This is the most important thing you will hear in the dredging industry because the cost of a break down is truly terrible. No dredging company of any size can afford stoppage time. We have been working for 20 years with dredgers in the most severe marine environments on Earth. We have repaired many brands of equipment and seen how these systems can fail. Because the Engineers at Foreshore Technology have this experience they know how to design equipment that will survive! Foreshore Technology hardware is working worldwide in the harshest marine environments from the frozen -40°c in Finland & Norway to the roasting hot +45°c in Africa, not just 'some of the time', but all of the time!. We believe we have the world's most intuitive and reliable dredging software but this needs to be fed with data from reliable hardware to have the 'Ultimate Dredging System'! So far, to date, Foreshore Technology have never had to supply a replacement sensor cabinet part on any vessel, that is what a good design can do! The equipment must use salt-water proof materials, either 316 stainless steel or composites. 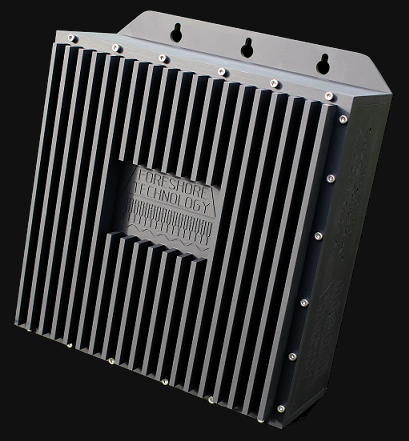 You won't see any 'iron junction boxes' or 'aluminium sensors' from us! The equipment must be designed for the correct type of dredger, they are all very different! The sensors must be built to survive rock damage and massive vibration. Damageable items like underwater sensor cables must be easy for the vessel's mechanic to replace in the rain at night when he is under real pressure. A damaged cable will not allow water into a sensor or cause a sensor to burn out. All sensor data-reading cabinets must be "optically isolated" so that a damaged cable does not create and further damage to the electronics.